The menopause is a phase, and that phase has many phases within. Some you will breeze through barely noticing and others will feel like walking thru mud with wellies on. The truth is we are all busy women, and we often don’t have a lot of time for looking after ourselves. But there often is a point where enough is enough, and you think ‘I have to start doing things differently’. • It may be a photo you have seen of yourself and you don’t like how you look, or not fitting into your clothes well. • Maybe your menopausal symptoms are getting in the way of you enjoying life. • Or maybe its disturbed sleep and lack of energy that is getting you down. • Maybe your usual exercise routine leaves you exhausted rather than energised and you know you are not eating the best because of it. 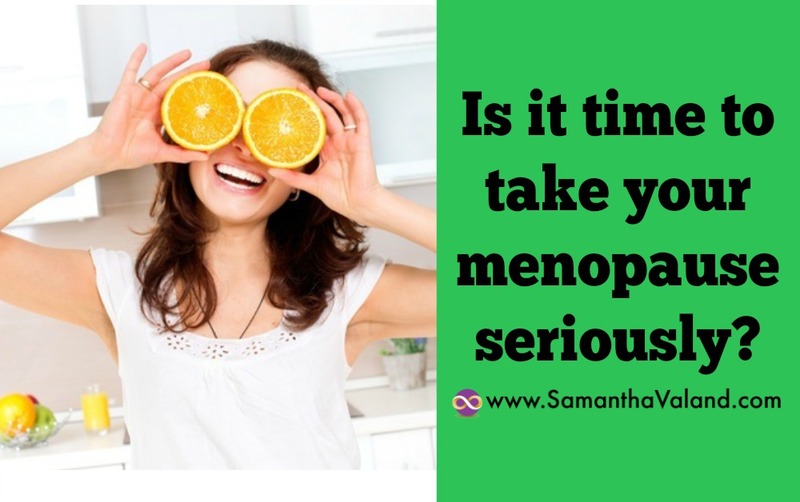 Starting at the end of the menopause, is a great approach to determining how long you have to go, and therefore how long are you going to be in this phase of life. In the UK, the average age of the menopause is 51. You are considered post-menopausal, when you have had 12 consecutive months without a period. This gives a ballpark figure of how long you may have to go until you are post-menopausal. Add in the severity or inconvenience of your menopausal symptoms to help you decide if you are cruising into the finish time, or still have a way to go. So you may be thinking, yes I can do this for another year. Or perhaps it’s no, just no. I need to start doing more to help myself. The menopause is a transitional time, it is not called the change for nothing, but we usually only change as much as we need to. So how much do you feel you need to change? If you are in the messy bit in the middle, you might be thinking that, actually I really need to start to make some lifestyle changes. But where do you start, there is so much contradiction, it’s hard to know where to start. You may have already started researching what happens to your body during the menopause. This is a great way to understand how, why and what your body and depending on what phase you are in you may be able to predict what time of the month your symptoms are most likely to occur. Having three paths means there is an enormous amount of support available to us during the menopause and enormous amount of choices. Unfortunately, you do not come with a manual, which means you have to experiment to figure out what works best for you. We all have our own bias that have been created through our 40 odd years of life experiences. Other people have their bias too, and you may feel judged by the choices you are making. I personally think, quality of life is important and how you get there is so different from one person to another! Do what works for you! Where do you to start with improving symptoms through lifestyle choices and basic self-care? My simplest starting point is SMILE. Which stands for sleep, move, intention, laugh and eat well. I always start with sleep, it is the ultimate in balancing hormones and it’s free. If you are not sleeping well it affects so many choices you make regarding eating and motivation to exercise or be active. What do you need to do to get a good night’s sleep? Move, which can be exercise or activity but it makes such a difference to how you feel when you start to move. Even a simple walk around the block can feel make you feel lighter and a bit more like yourself. Exercise is by definition a stressor to the body and how much you can tolerate at this time is up to you to decide. Have an intention of what you would like to do for a day or week, this may be food or exercise. Then go back without judgement as to why it did or didn’t happen. Sometimes it lifestyle related as in ‘I didn’t have the time’ or menopausal symptoms getting in the ways. It helps to spot patterns and you can make changes for the next time it may happen. Laugh. When was the last time you had a good old belly laugh? Your mood can change with the menopause and it is worth observing and noticing if you are getting move anxious or depressed than usual. Please see you doctor if you need too.